Santorini is a popular island that sees plenty of visitors each year. They come to the island for various reasons, but in the end they have similar experiences. People are enchanted by the caldera, inspired by the sunsets, and delighted by the beaches. There is so much to do here, it can be hard to decide how to spend your time. Before you can go to the beach, you need to first make it to the island of Santorini. The island has its own airport and it is located three kilometers away from Fira, the main town in Santorini. This airport is a 45 minute flight from Athens but the more popular and scenic travel option is by ferry. From the airport in Athens, a bus ticket for less than three euros will make it to the port of Pireaus. The ferry options in Pireaus vary depending on speed and price, with faster ferries making the trip to the island in 5 hours and the slowest ferry taking closer to 9 hours. 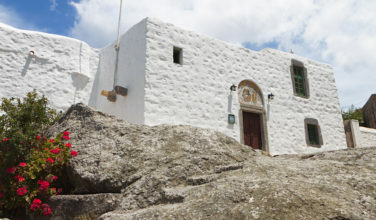 Once you get to the island, you can make you way to Vourvoulos, which is located about 7 kilometers from Fira. There is parking available near the Vourvoulos harbor or by the road to the beach. The town of Vourvoulos is just inland from the beach had has only 535 permanent residents. The beach offers a more quiet and private beach experience without the rush of tourists found in other places in Greece. The shore of the beach is a mixture of darker sand and pebbles, nestled between the surf and a sloping hill leading back into the island. 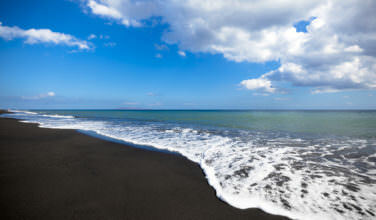 It is a place to see both the Aegean Sea and a unique landscape shaped by volcanoes. The sea is sight worth seeing on its own, taking on a turquoise blue color. 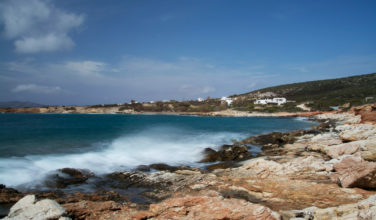 Karterados is another small town not far from Vourvoulos Beach with a vibrant white facade of houses facing the coast. 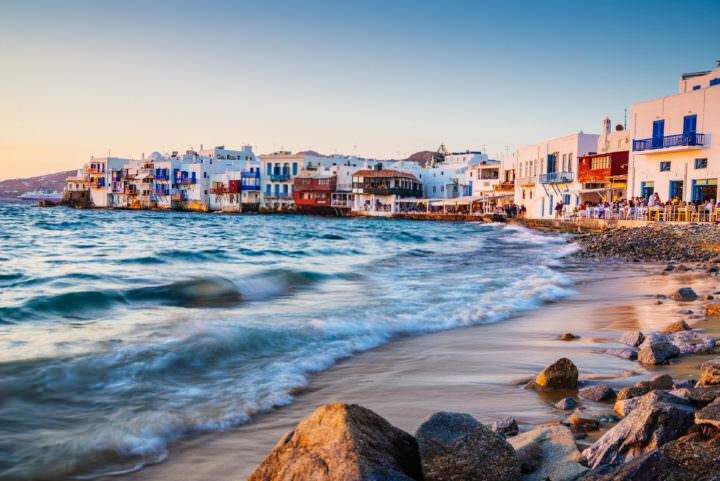 Visitors can partake in the many activities that makes beaches on the Greek islands so popular around the world. Sun-bathing, walks in the surf, and swimming are easy to find at Vourvoulos Beach. It also has a restaurant located right on the beach serving up fresh and local seafood. There are umbrellas and lounge chairs for relaxing in the sun, and also a fishing boat harbor to explore. You can spend you time lounging in the sun, taking a stroll and exploring, or bathing in the water. With its exclusive feel and scenic location, Vourvoulos Beach is the perfect destination for those at the beginning of their Greek vacation or wrapping up a trip through the islands. 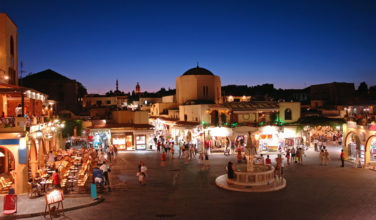 It complements the rest of Santorini island, often known to be full of tourists in the warmer months. Whether for the fresh fish or sun-bathing, Vourvoulos Beach should be added to every Greece travel checklist.